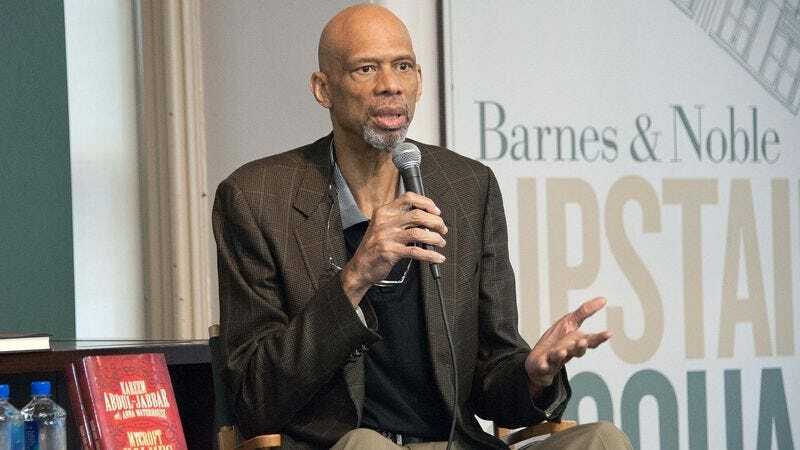 Kareem Abdul-Jabbar is following the standard post-basketball career arc for a 19-time NBA All-Star player: Write a non-fiction book about an all-black tank battalion during World War II, land a gig as a regular columnist for Time Magazine, accept a position as cultural ambassador for the United States, and publish a mystery novel about Sherlock Holmes’ even smarter older brother. Basketball player stuff. Now he’s making the next logical step and spinning his mystery novel out into a five-issue comic book series, according to a press release. Mycroft Holmes And The Apocalypse Handbook—co-written alongside novelist Raymond Obstfeld with illustrations by Joshua Cassara—will not be an adaptation of Abdul-Jabbar’s 2015 novel, Mycroft Holmes, which he wrote with Anna Waterhouse. Instead, it will tell a new story of how the titular genius bureaucrat is sent by Queen Victoria on an international adventure to bring down a madman who has come into possession of a weapon capable of destroying 19th Century civilization. While the elder Holmes brother only appears (or is referenced in) four stories by Sir Arthur Conan Doyle, he’s been portrayed numerous times on screen, most notably by Christopher Lee in Billy Wilder’s 1970 film The Private Life Of Sherlock Holmes and by Mark Gatiss in the BBC’s Sherlock. The government worker has previously been utilized as a main character by a number of other authors, including Michael P. Hodel and Sean M. Wright, whose 1979 novel Enter The Lion: A Posthumous Memoir Of Mycroft Holmes originally sparked Abdul-Jabbar’s interest in the character. “I realized more could be done with this ‘older, smarter’ character and his window onto the highest levels of British government—at a time when Britain was the most powerful country in the world,” the 69-year-old athlete-turned-author said when his novel was published last year. The first issue of Mycroft Holmes And The Apocalypse Handbook will be available through Titan Comics beginning August 3.